Elevation Worship is a contemporary worship music band from Elevation Church in Charlotte, North Carolina. The band's main vocalists are Chris Brown, Mack Brock, London Gatch, Jane Williams, Jenna Winders Barrientes, and Jonsal Barrientes, as well as many other contributing musicians and vocalists. The band leads worship in weekend church services, as well as performing concerts and tours around the United States. They have previously toured with other contemporary Christian bands including Hillsong Worship, Kari Jobe, Jesus Culture, Rend Collective, Passion, and others. The band released their debut studio album, For The Honor, under the Essential Records label on November 21, 2011. It saw chart success on Billboard charts, including No. 1 on Heatseekers, No. 19 on the Christian Albums, and the Billboard 200 at No. 193. The band's second album under the Essential label, Nothing Is Wasted, was released on February 19, 2013. A deluxe edition of the album also included studio recordings of each song. It also saw chart success – reaching No. 1 on the Christian Albums chart and at No. 41 on the Billboard 200. Their third album, Only King Forever was released on January 14, 2014, debuting at their highest charting position, No. 23 on the Billboard 200 and featured guest vocalist Darlene Zschech from Hillsong Worship. On August 1, 2014, the band recorded their fourth album, Wake Up the Wonder, live at Time Warner Cable Arena. It was released on November 25 that same year. The album debuted at No. 58 on the Billboard 200 in its first week, as well as No. 1 on Billboard's Christian Album chart. 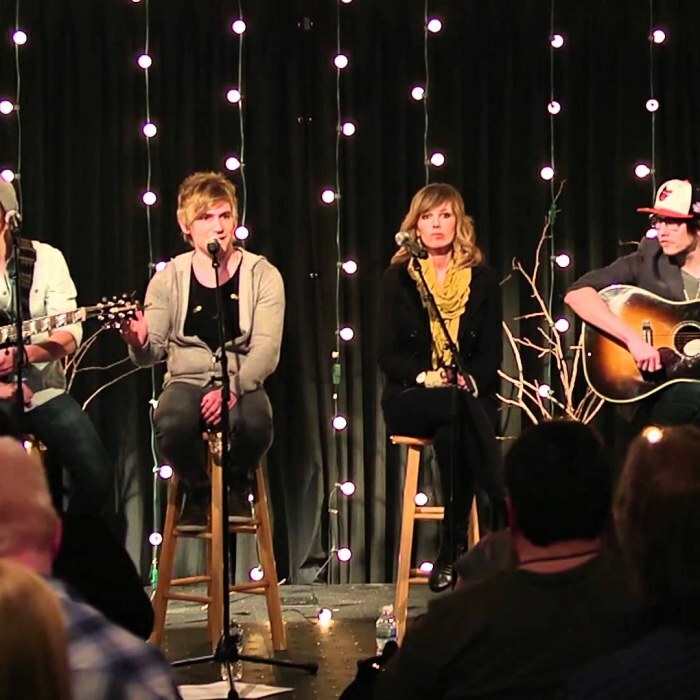 On July 31, 2015, they held another live recording at Time Warner Cable Arena for their fifth album, Here As in Heaven, their first album released on their own label, Elevation Worship Records. It was released on February 5, 2016 and peaked No. 1 on US Album charts. Their fifth album, There Is a Cloud, was released on March 17, 2017 after being recorded at Elevation Ballantyne during the church's revival dubbed "Code Orange Revival".